A new study in the journal Geology is linking Oklahoma’s November 6th, 2011, earthquake to the injection of wastewater deep underground — water that’s used both in fracking and the extraction of petroleum from conventional oil wells. The 5.6 magnitude quake, the most significant to ever hit the region, injured two people, cracked highways, and damaged over a dozen homes. 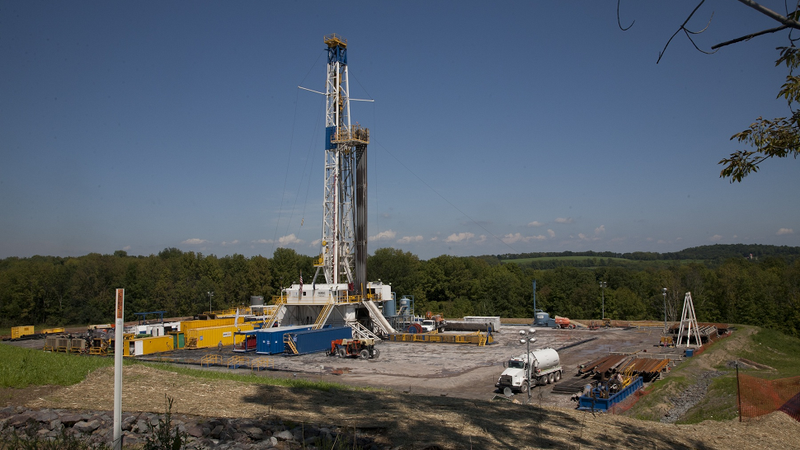 Speculation that fracking may cause earthquakes has been around for a while, but the new research shows that a specific part of the process, that of wastewater disposal, poses a genuine geological risk. Moreover, it shows that regions thought to be seismically safe can still be affected by human activities. After the 5.7 quake hit Prague, Oklahoma, it was followed by another 5.0 quake and thousands of aftershocks. Interestingly, the wastewater had been pumped into abandoned oil wells for 17 years without incident. The geologists speculate that, as the wastewater replenished compartments once filled with oil, the pressure to keep the water going down had to be increased. And as this pressure built up, the fault jumped; changes in water volumes deep underground reduced the stress on the rock, allowing the fault to slip. And in fact, this “Wilzetta Fault” was only 200 meters away from the active injection wells. If the geologists (a team led by Katie M. Keranen and Elizabeth S. Cochran) are right, it would mean that fault lines are far more sensitive to human activity than previously thought. As noted, the underground disposal of wastewater has increased dramatically in recent years due to hydrofracking operations across the United States and elsewhere. Other studies have linked these sorts of activities to earthquakes in similarly seismically benign areas, including Arkansas, Texas, Ohio, and Colorado. Not everyone agrees with the finding, including the Oklahoma Geological Survey. It put out a statement (pdf) on March 22, 2013 refuting the claim. Images: Appalachian Voices, Columbia University.